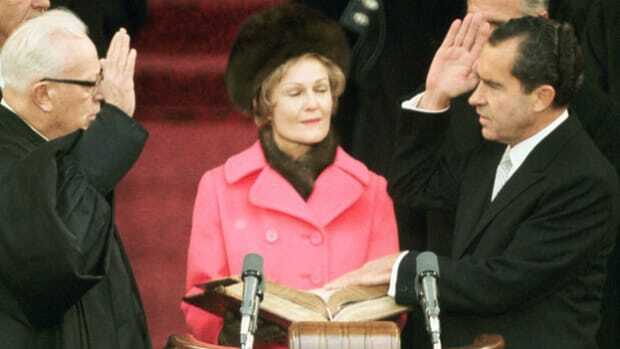 On this day Monday January 20, 1969- 50 years ago today- Richard Milhous Nixon was inaugurated at the U.S. Capitol as the 37th President of the United States. America- what a country- one of the great things is the transfer of power when it is from one political party to another. 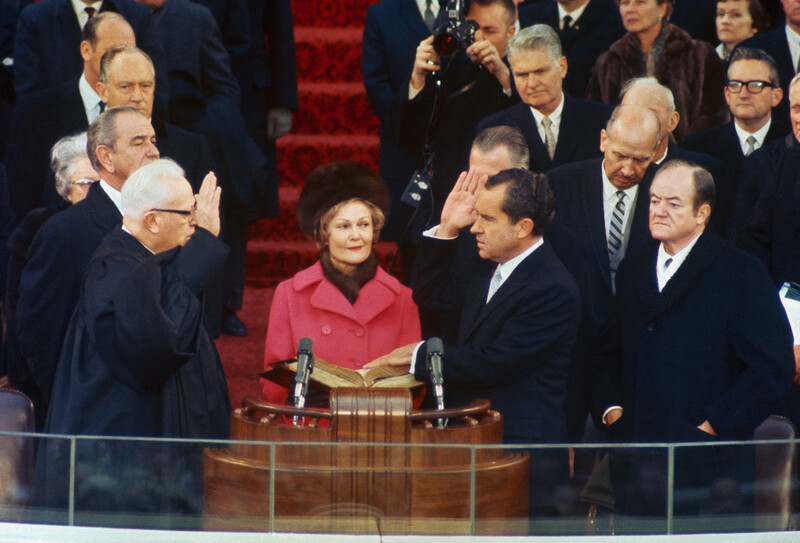 In the picture below you get the swearing in- the Chief Justice of the Supreme Court Earl Warren giving the oath of office to Milhous. Warren and Milhous were political enemies from decades back in California. Standing right behind The Tricky One is Hubert Humphrey the man who he beat two months earlier in the 1969 Presidential Election. Standing directly behind Warren is the outgoing president- Lyndon Johnson a democrat who had to hate seeing Nixon taking over. Yet all three of these men- were there. There have only been three incidences where the outgoing president refused to attend the incoming presidents inaugural. When Thomas Jefferson was inaugurated in 1800 the outgoing POTUS John Adams skipped out of town ahead of time. 1832 John Quincy Adams did the same thing to Andrew Jackson and in 1968 Andrew Johnson stayed in the White House instead of going to the inaugural of Ulysses S. Grant. Appreciate the excellent post! Happy New Year! Thank you- and Happy New Year to you. I think he’s looking so much better compared to the current incumbent. I like to poke at Nixon some but he wasn’t a total flop as a president- his main problem was his paranoia and where it led him. Nixon looks pretty good I think compared to any of this century’s presidents.